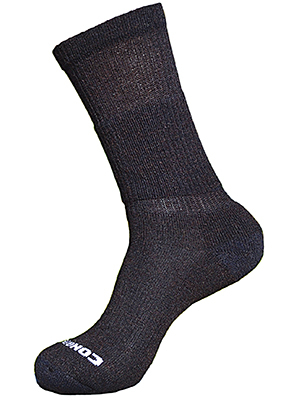 The Altera Alpaca Conquer sock is a very unique sock and much different than the Explore or Prevail. Alpaca fiber is naturally flame resistant and the yarn construction of the Conquer make it a Class 1 flame resistant sock for maximum confidence in extreme conditions. If you require a flame resistant sock, this is your choice. Dedicated to those in military, search and rescue, and forest service, the Conquer can handle anything. Alpaca fiber is naturally flame resistant and the yarn construction of the Conquer make it a Class 1 flame resistant sock for maximum confidence in extreme conditions.